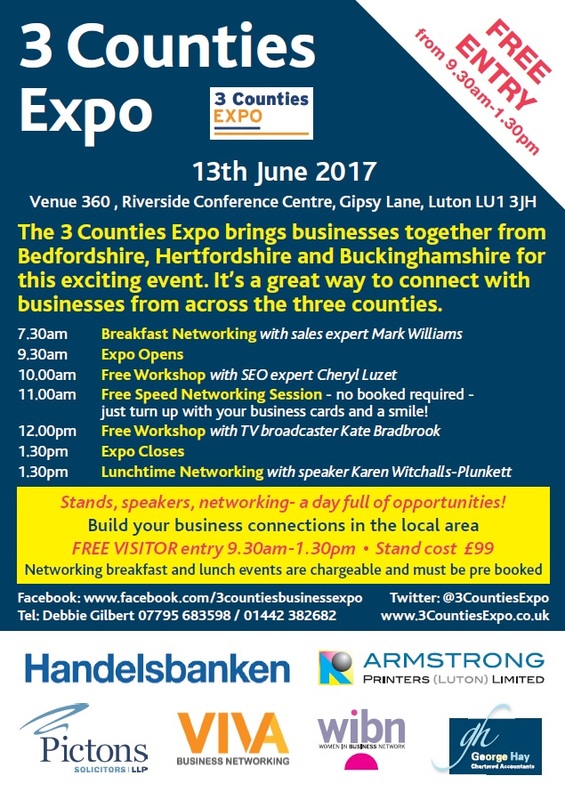 Our business adviser for Central Bedfordshire and Luton will be exhibiting at the 3 Counties Expo, which is being on 13th June from 9am-1.30pm at Venue 360 in Luton. The aim of the event is to bring business from Herts, Beds and Bucks together for networking and learning. The event which is being run by the Women in Business Network will also offer a range of free workshops and has 50 exhibitors form the local area.